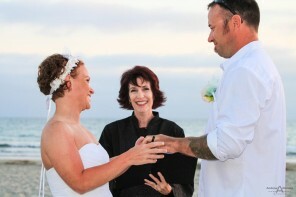 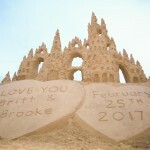 Brooke had a feeling it was coming but didn’t know why quite when, not until Britt took her Coronado Beach, got on one knee and made is surprise proposal, asking Brooke to marry him. Britt and me had planned the photography a few days earlier, so I was there and ready to capture the surprise engagement proposal photos on Coronado Beach for the couple. 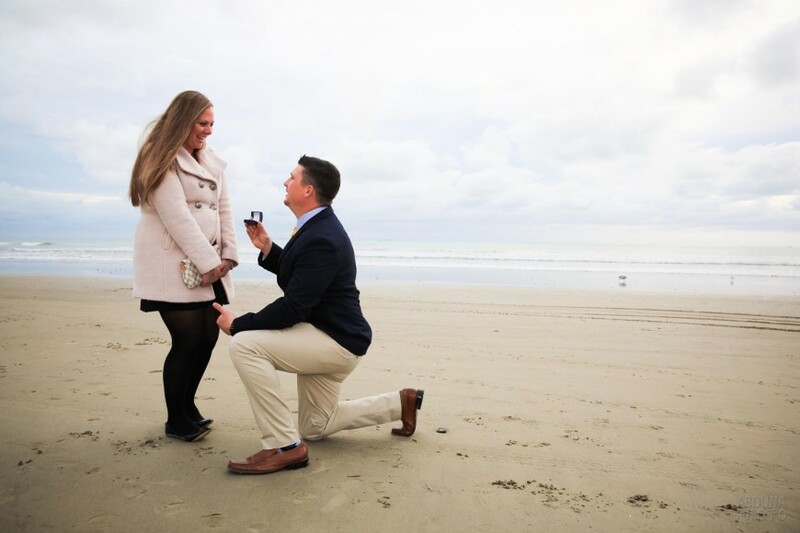 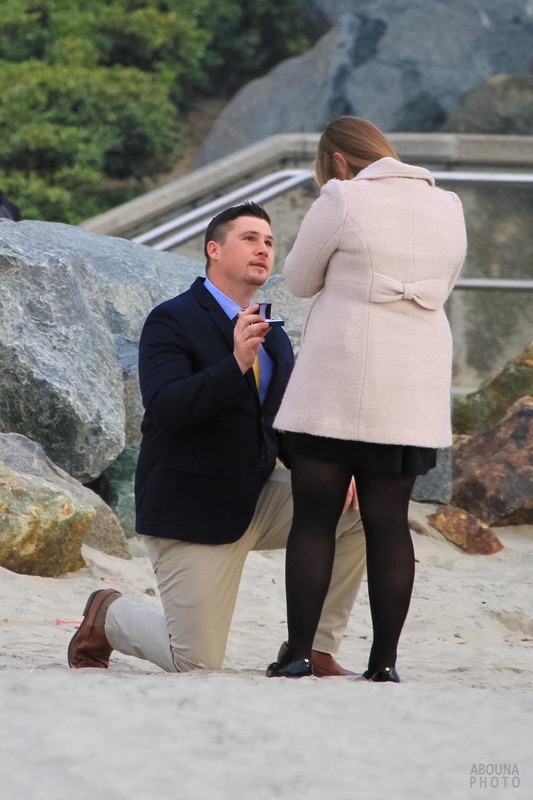 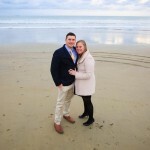 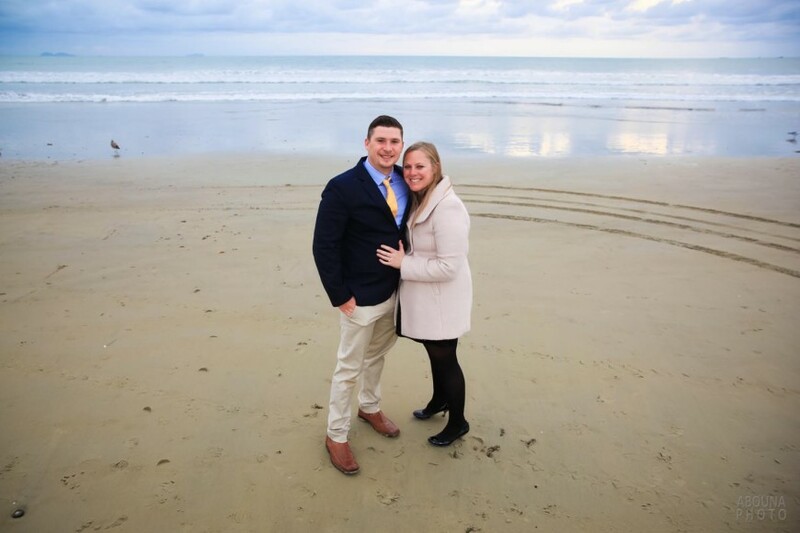 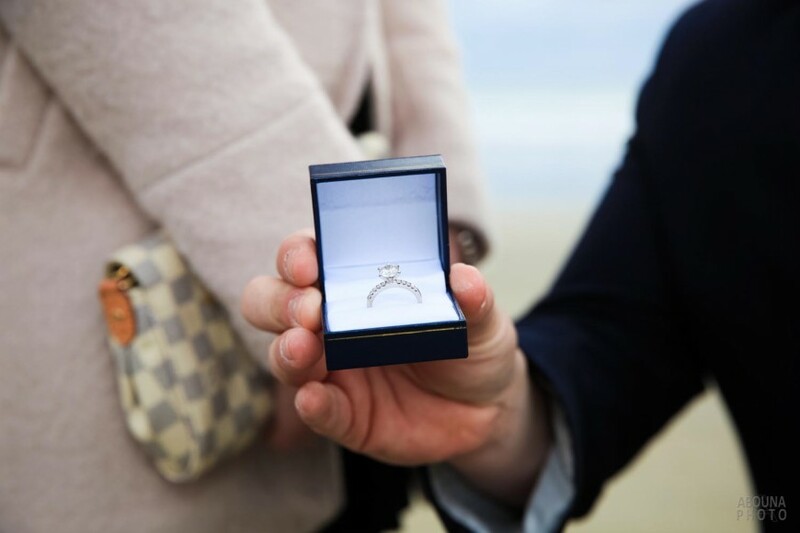 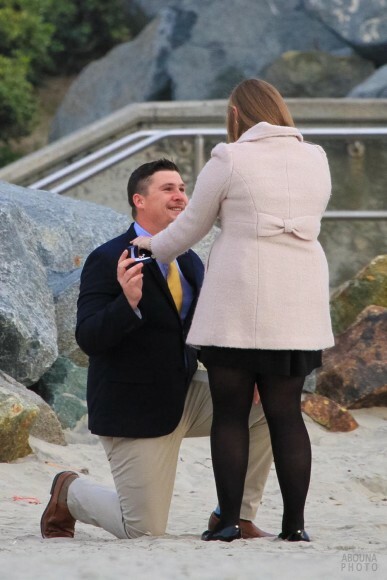 Though it was a bit of breezy, cool wintery kind of day on the beach, Britt’s proposal to Brooke no doubt warmed her heart. With tears of joy she said yes of course to Britt. 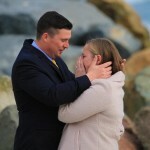 With me off in the distance using a long lens I captured the was able to created the first moments of the surprise engagement proposal photos. 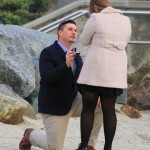 After a short time I a gradually moved closer. 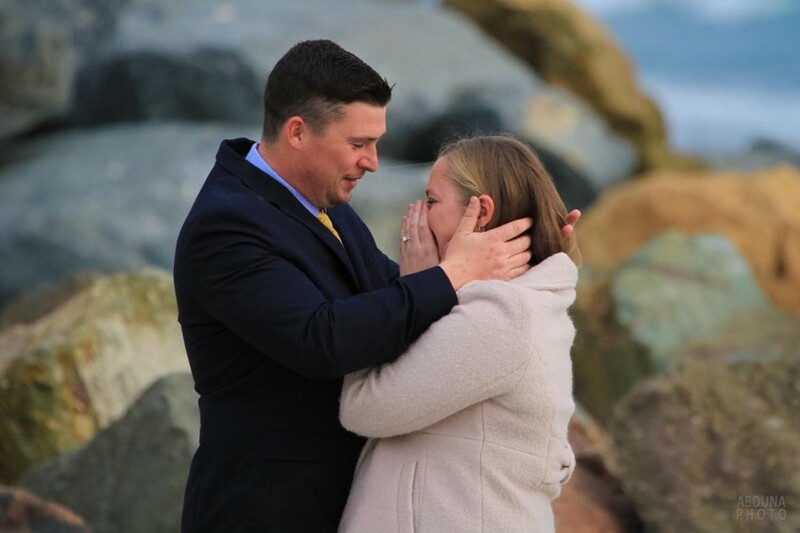 And when Brooked said to Britt that she wished it they had photos of the occasion, he surprised her again by pointing me out! 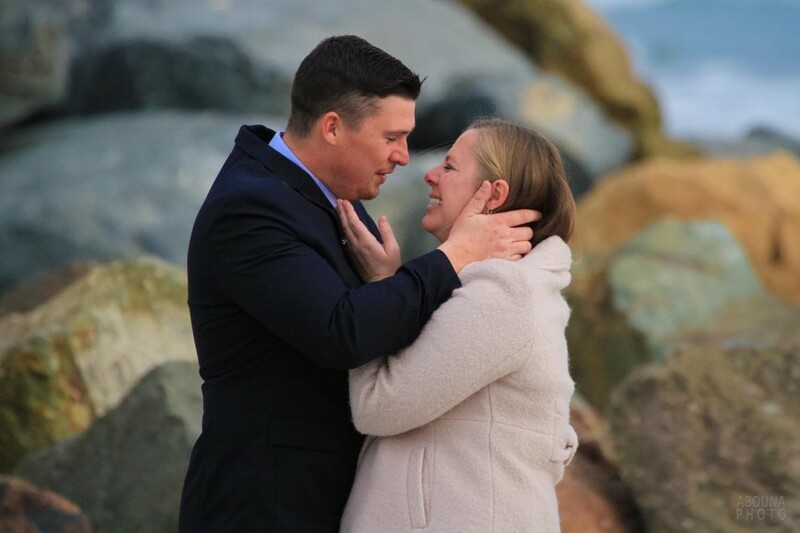 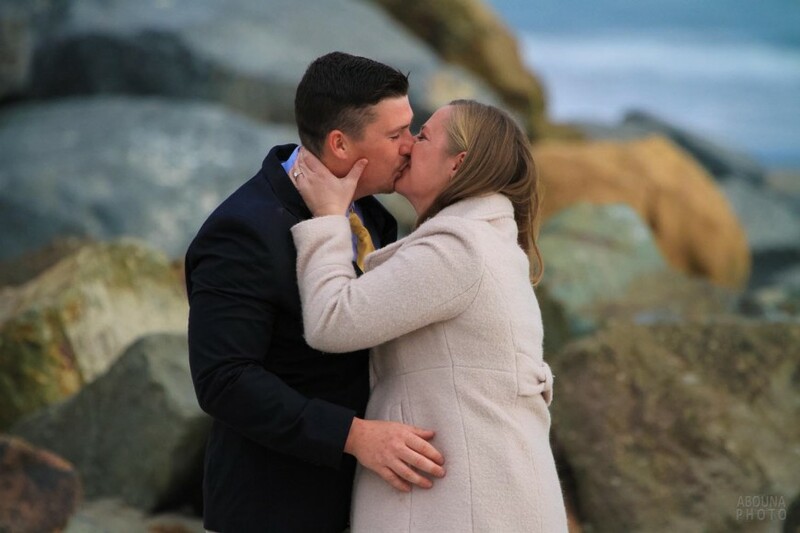 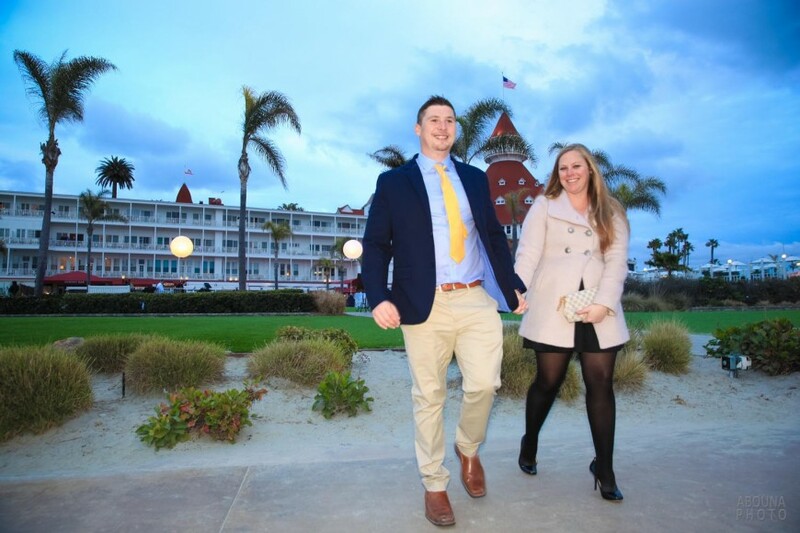 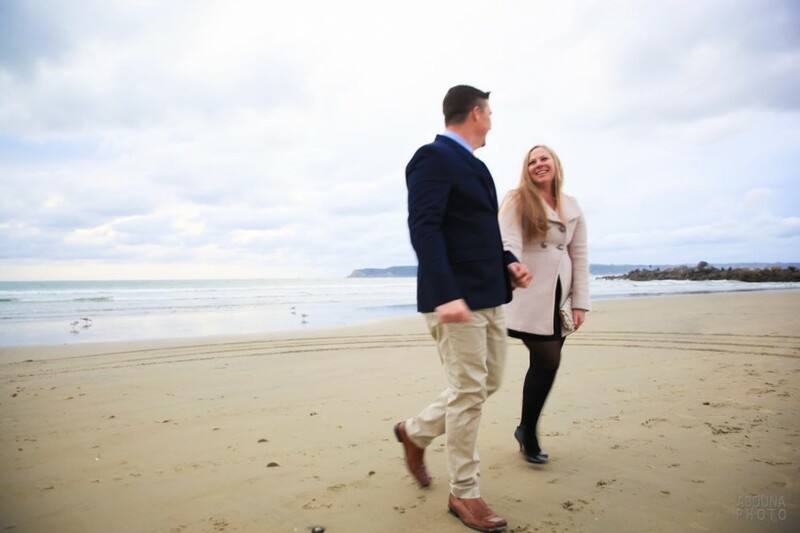 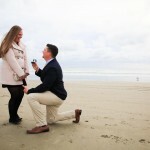 Together with the lovely couple, we created a variety of shots to create a nice collection of surprise engagement proposal photos on Coronado Beach. 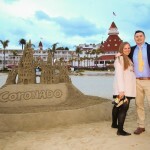 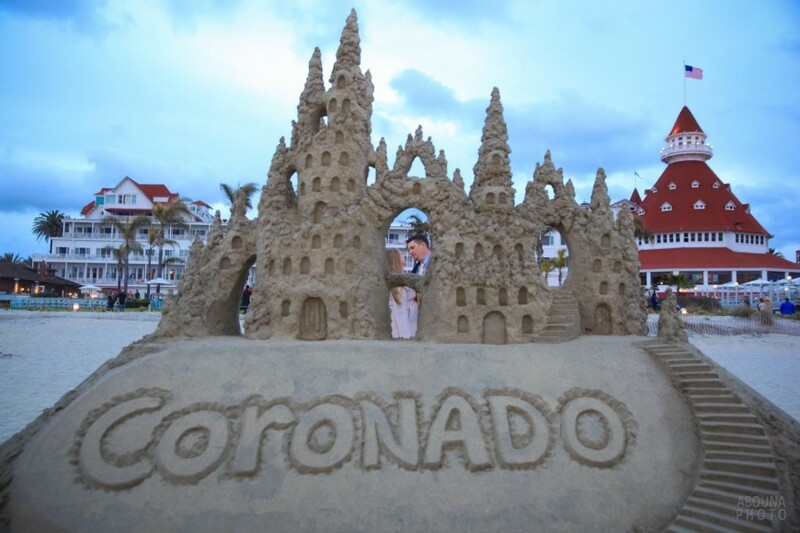 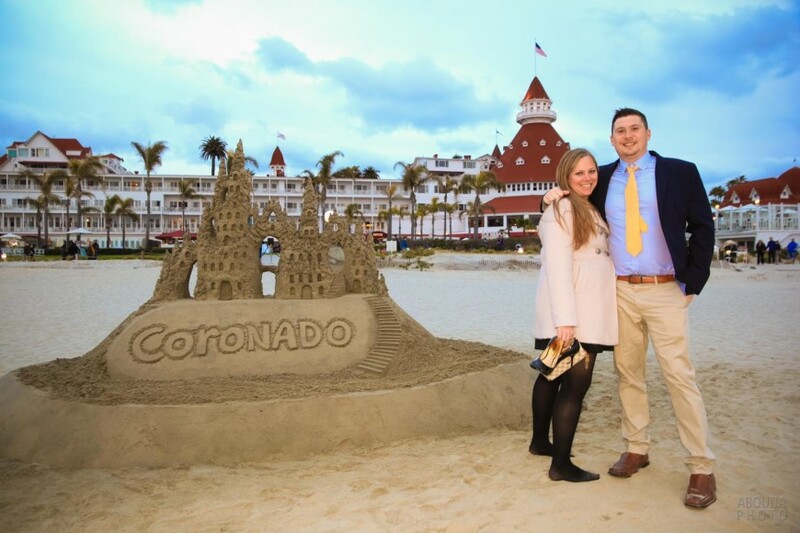 First closer to the water, then by the Hotel Del Coronado, and finally next to a wonderful large sandcastle. 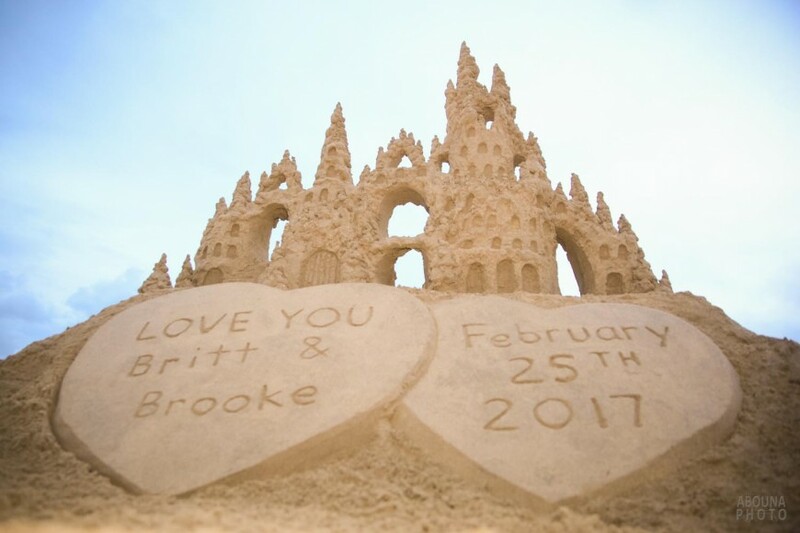 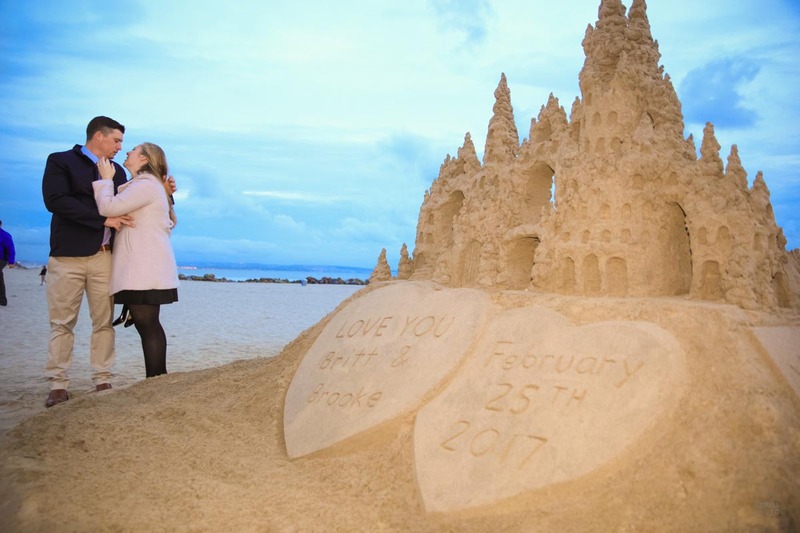 I even commissioned the artist and builder of the sandcastle to place the names of the couple on one of the hearts at the base of the castle. 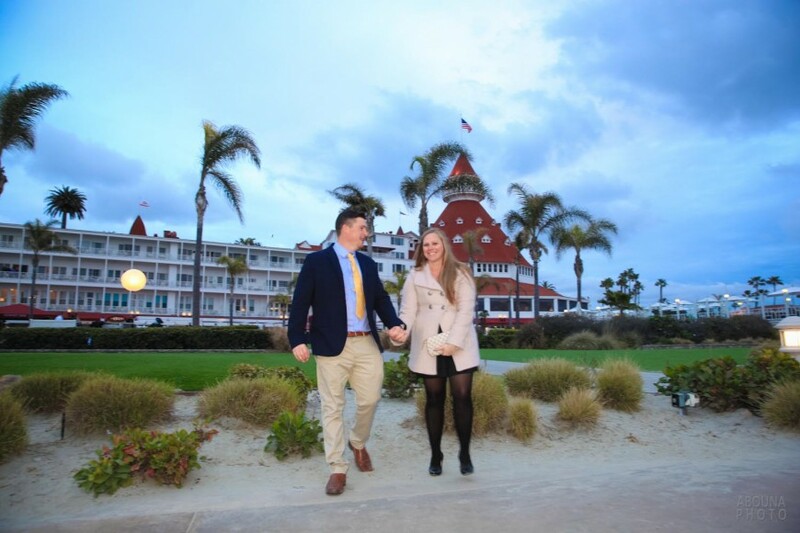 It was a beautiful day for two very happy people. 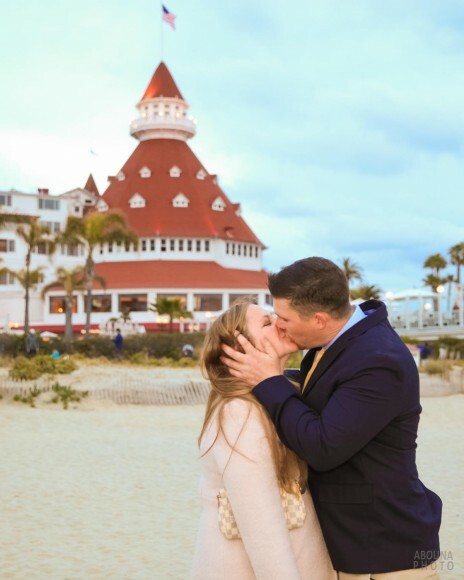 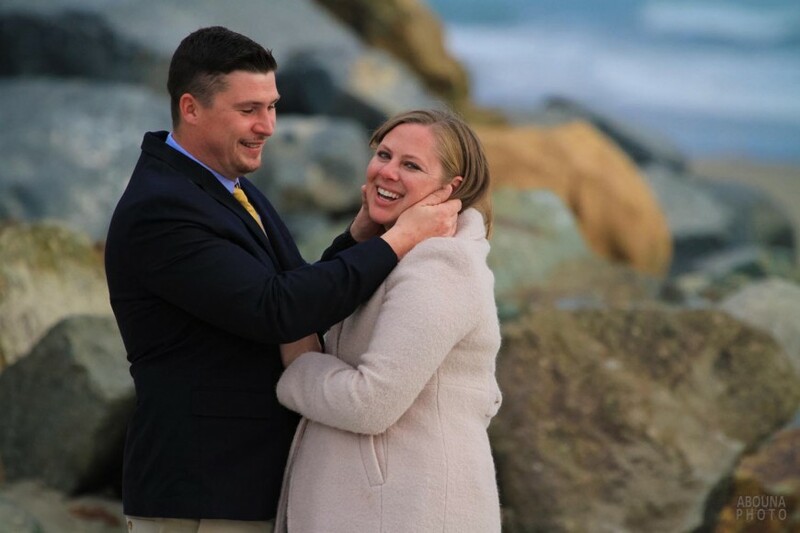 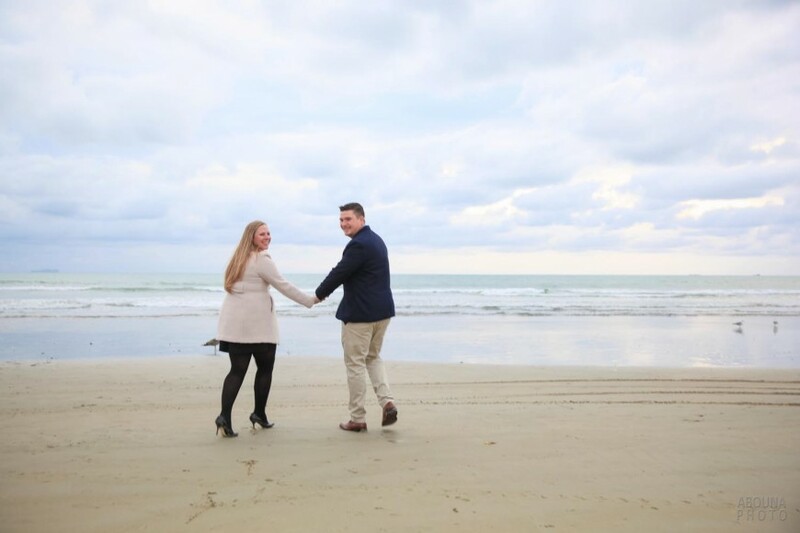 In addition to collection shots on this page of some of my favorite surprise engagement photos on Coronado Beach, you can also see their complete collection of photos in my San Diego Wedding Photographer Client Galleries (password required). 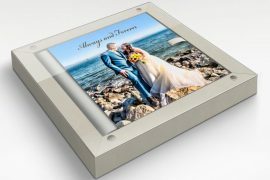 I’m looking forward to creating the set of prints that the couple will order as part of their photography package, after they’ve had a chance to download all of their photos and share their gallery. 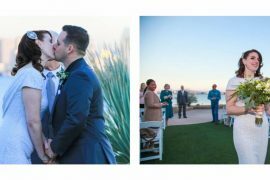 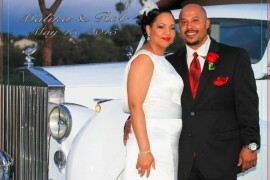 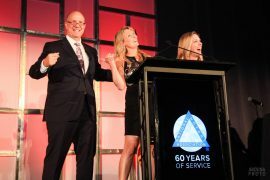 For more information about San Diego Engagement or Wedding Photography please contact me at andrew@abounaphoto.com or 619-997-4707.